Canary Islands are the favorite destination of many tourists and those of us lucky enough to live here know the reason. It’s a fantastic place that in 7 islands concentrates great diversity of landscapes and activities to enjoy alone, in couple, with the family and with the friends. The nature was generous giving the Canary Islands a perfect climate and magical places. There are beautiful beaches, lush forests, deserts off the beaches, breathtaking sunsets, magnificent views, mountains, volcanoes and also snow. The highest peak of all Spain we have it in Tenerife, with 3718 m of altitude. This Christmas is dressed in white to dismiss 2016 and receive the New Year with its entire splendor. The Tenerife Cabildo has already reopened the TF-28 road that gives access to El Teide National Park so that we can all enjoy this majestic white Christmas playing in the snow and drinking hot chocolate. Whoever travels to Tenerife and has not visited this place, is lost from what is considered the most emblematic natural monument of all the islands. It is one of the most important tourist attractions of the archipelago, Spain and all Europe. Globally it is classified as the second most visited national park. For the daring and romantic, the night in El Teide bare the sky and let see stars and nebulae, ideal to make a trip with a telescope and delight the eyes with a visual journey into space. For the curious, the place has been several times the scene of films recognized internationally. And the diversity it offers is great. No snow is a volcanic desert with stunning views and with snow is a majestic peak crowned in white. Are you going to miss it? Enjoy this place and the diversity of activities that you can perform alone or accompanied. What are you waiting for? Come and play in the snow in El Teide! 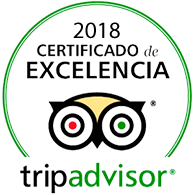 This entry was posted in Activities, Experiences, Tenerife and tagged El Teide, España, excursion, nieve, pico, play, snow, Teide, Torism, trip.